The Trash wastepaper bin was designed in 2005 by Jasper Morrison for the Italian manufacturer Magis. Trash has a futuristic shape and simplicity and is supplied by Magis complete with lid and retaining ring for garbage bags. With or without lid, Trash can be used as a trash bin in the office or as a waste bin in the living room or children's room. A special retaining ring under the lid ensures that the bin liner used holds firmly and securely. Thanks to the trash bag, Trash is easy to clean and also absorbs sticky or wet waste. Magis produces the Trash wastepaper basket using the standard injection process from the robust plastic polypropylene. Thus Trash withstands the demands of the everyday life and can be used problem-free also in the children's room. The waste bin is offered by Magis in two sizes and different colours. The Trash wastepaper basket big from Magis in white. With or without lid, Trash can be used as a trash bin in the office or as a waste bin in the living room or children's room. 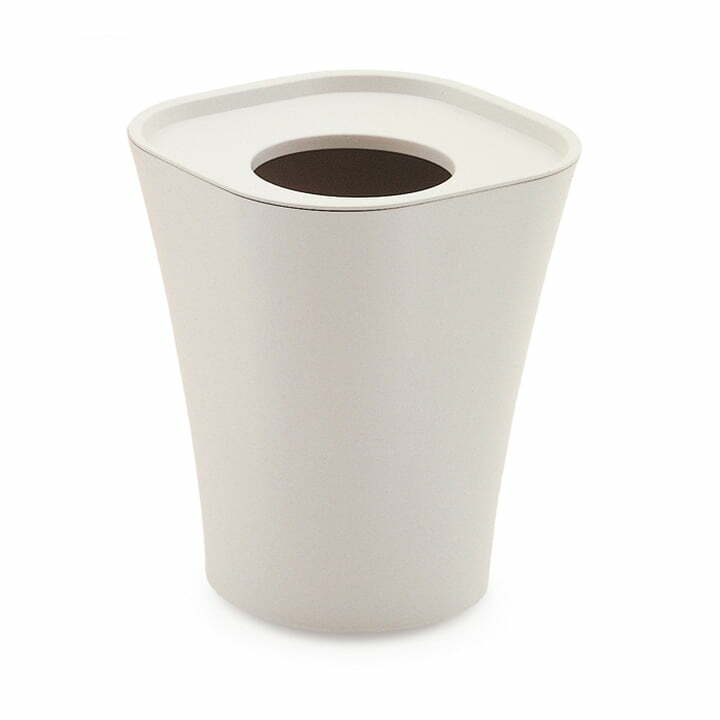 The Trash wastepaper basket from Magis- Trash has a futuristic shape and simplicity and is supplied by Magis complete with lid and retaining ring for garbage bags.